The feature which most significantly identifies the chordates is the presence of a notochord, which is replaced by the vertebral column in most chordates. 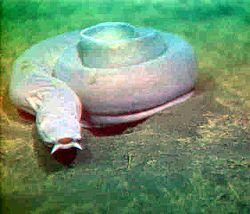 The phylum Chordata has three subphyla: Cephalochordata (lancelets); Urochordata (Sea squirts, Tunicates, Salpa, Lancelets); and Vertebrata (fish, amphibians, reptiles, birds, and mammals). The first two are invertebrates, but most chordates are vertebrates. Chordates have a number of characteristics in common, which for most are only present during embryonic development. Notochord is found in all chordate embryos. A hollow dorsal nerve cord. The subphylum Vertebrata has a head, an endoskeleton including the vertebral column from which their name is derived, a closed circulatory system and a brain. In most vertebrates, the dorsal hollow nerve cord becomes surrounded with cartilaginous or bony vertebrae, and the notochord generally reduced. The subphylum Cephalochordata has some characteristics of vertebrates and invertebrates. They have a closed circulatory system and no heart. They have a strong body wall like a vertebrate, and a caudal fin. It has gills, a mouth, and a notochord. The lancelet notochord, unlike the vertebrate spine, extends into the head. The Cephalochordates don't have bones, and grow up to about five centimeters long. The subphylum Urochordata has gill slits for feeding. When an adult, their nervous system reduces to the dorsal ganglion. 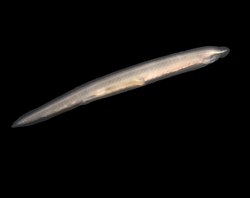 But during their larval stage, they have a notochord, dorsal nerve tube, and a tail. Among the Chordate subphyla there are differences in their reproduction. In Urochordata, they reproduce asexually. The Cephalochordata and Vertebrates reproduce sexually. Chordates are some of the most adaptable animals on Earth. Their habitats include freshwater, marine, and terrestrial. The subphylum Vertebrata is the most common of the three phyla, which includes familiar forms such as amphibians, mammals, reptiles, and birds. All these animals have different eating habits. Mammals are carnivores and herbivores. The larger mammals have a large variety in their diet that goes from mice to antelope. The herbivores eat all types of autotrophs or plants. Reptiles are mostly carnivorous and eat whatever they can get. But some lizards and turtles eat mostly plants. Aves since they don't lose very much water during respiration the number of different bird species depends on what they eat. Small birds eat more than larger birds depending on their body weight. Amphibians are carnivores and herbivores. Eating algae and plant material as larvae. But adults eat insects and small animals. This page was last modified on 10 October 2014, at 16:41.